Today my mother-in-law took the boys for a good chunk of the day for one last Camp Mimi. While they were off having a grand time, I ran a few errands and finished my block for do. Good Stitches (it took a while). In the Joy Circle this month we made Swoon Blocks in gray, green and blue. I will not lie, this was a lot of cutting. I started the block thinking, wow I could never make an entire quilt of these squares, but in the end I might have changed my mind. I mean, if you do all of your cutting at once it is not so bad, right? And I really do like the design. I hope it gives some comfort to the four year old boy, suffering from a rare degenerative disorder, and his family that will receive this quilt. I can't imagine the pain they are going through, but I do hope a quilt lovingly made by ladies all over the world helps them know that they are not alone. While I was finishing up, I heard a rustling sound and knew the dog was getting into something, but couldn't figure out what would make that sound. Then it hit me, the kids' tent from ikea. Hoping I knew what happened I grabbed my phone and sure enough Bettis found some new digs. This weekend I hosted a bridal shower for my cousin with my mother and aunt. I was on dessert duty. 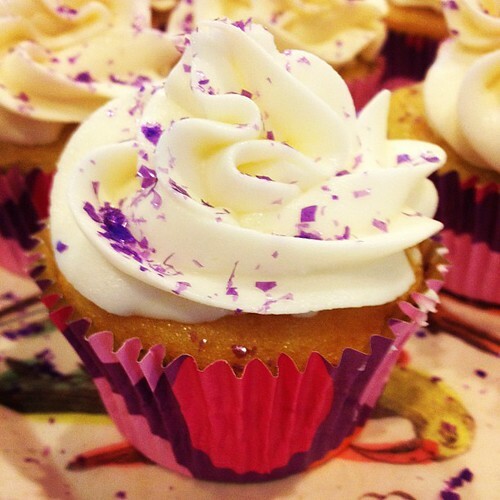 I made cupcakes and cookie favors. In other wedding related news my husband and I are coming up on ten years (!) next month. To celebrate we just booked a hotel in Asheville (a two hour drive for us) for the night plus signed up for a bike tour and a foodie tour (yum, can't wait). He also revealed that he has been doing research and is planning to get us a new DSLR camera as our anniversary present. So the good news for you is that you will start to see real pictures in my posts again (hopefully better than ever, but I know there will be a steep learning curve) instead of just instagrams from my phone! 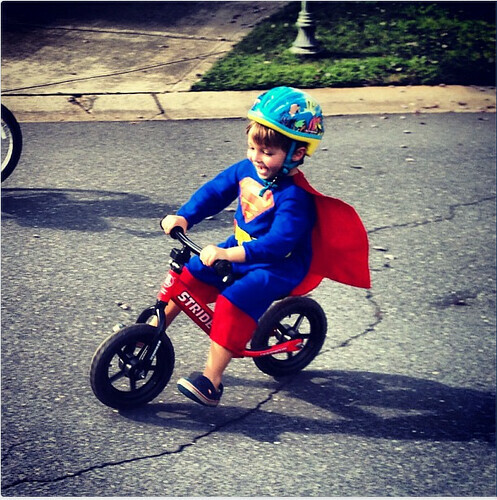 your son is adorable speeding away. your swoon turned out great. I still need to do mine but have been procrastinating because I have heard it takes so long :) . the desserts look yummy! what is the purple? Courtney - I spent last weekend in Asheville with some friends and had a blast! (I'm about 3 1/2 hours from there - Cookeville, TN). We waited over an hour to eat at Tupelo Honey, but it was worth the wait. And we had a delicious dinner Saturday night at Vincenzo's, a lovely Italian restaurant downtown. We also sat in the lobby bar at the Grove Park Inn and had drinks, since we couldn't afford to stay there. Anyway, Asheville is so much fun - You guys enjoy yourselves! 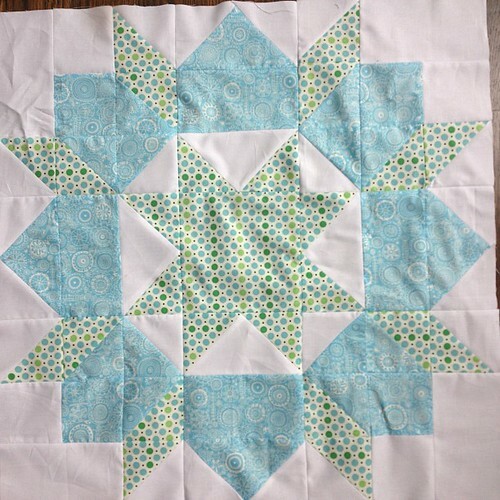 OH, and your Swoon block is beautiful; I love the aqua. Almost makes me want to take the dive, but I already have too many quilts in the queue. You've got a big heart, lady. Thanks for sharing the results! 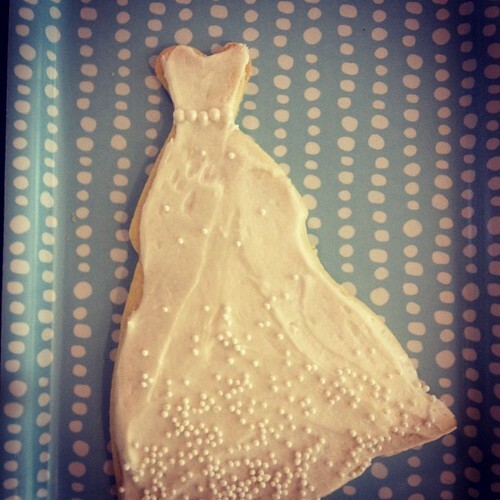 stumbled here today..love that wedding dress cookie! 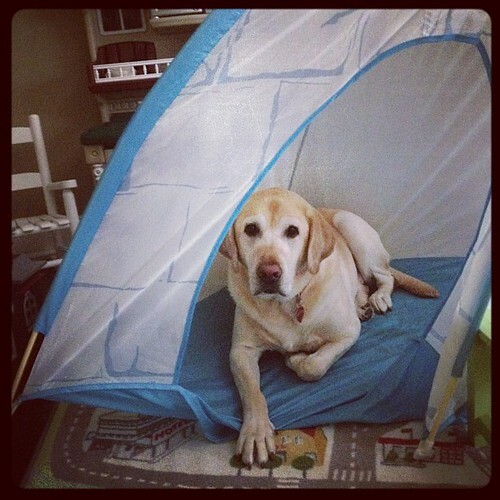 We have a lab who would have loved that tent too....thanks for sharing your blog with us.